The Apogee Duet is on the most popular interfaces around and now works with Apple's iPad, iPhone and iPod Touch. 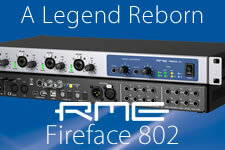 Includes a Waves plug-in voucher upon registration. Windows 10 drivers available from November 2017. The Apogee Duet is on the most popular interfaces around and now works with Apple&apos;s iPad, iPhone and iPod Touch. 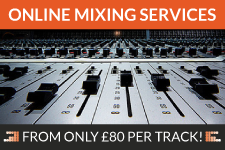 Includes a Waves plug-in voucher upon registration. Windows 10 drivers available from November 2017. Apogee Duet is an award-winning audio interface, headphone amp and MIDI interface making it easy to create professional recordings anywhere on your iPod touch, iPhone, iPad or Mac. With Apogee&apos;s legendary digital audio conversion and world-class mic preamps, Duet is the best way to capture your music with incredible dimension and detail. The new Duet for iPad and Mac features special circuitry designed to deliver professional performance for iPad use along with low latency USB 2.0 performance for Mac. And with the addition of MIDI I/O you can connect and power a Core MIDI compatible keyboard/controller while using Duet with your iPad or iOS device. From the mic preamps to the AD/DA converters and the clocking, Duet is best-in-class and cutting-edge Apogee technology. With components carefully selected in critical listening tests and a highly efficient circuit design, Duet was built by Apogee engineers to make a difference you can hear. Duet&apos;s AD/DA converters are designed to deliver the purest recordings and best listening experience possible. Duet&apos;s efficient circuitry and state-of-the-art components provide a simplified signal path resulting in incredibly transparent recordings. Much like the AD/DA converters, Duet&apos;s mic preamps feature the latest components and offer seamless click-free transitions as the gain increases and decreases throughout the incredible range of 0-75dB. This unprecedented feature allows you to dial in the perfect level, either with the controller knob or from within software, while delivering ultra-low noise and smooth, crisp detail. Duet&apos;s mic pres are suitable for all dynamic, condenser or ribbon microphones, allowing you to capture any sound without compromise. An Apogee technology first introduced in 1992 on Apogee&apos;s AD-500 converter, Soft Limit can be heard on countless platinum selling records around the world. Once a technology exclusively reserved for Apogee&apos;s most advanced audio converters, Soft Limit is included in Duet and can be enabled in Apogee Maestro software. This superior analogue design prevents the digital clipping that causes distortion by instantaneously rounding off transient peaks before they hit the analogue-to-digital converter. Soft Limit allows several more decibels of apparent level to be recorded while subtly providing an analogue-like warmth to the sound. Duet&apos;s breakout cable includes 2 combination mic/instrument connectors (XLR and 1/4 inch built into a single connector) and 2 balanced 1/4 inch connectors for speakers. The elegant single cable-to-junction design allows for easy cable management and the locking connection to Duet is robust and stylish. Duet&apos;s 2 combination input connectors (XLR and 1/4 inch) allow you to connect microphones, guitars and keyboards or your favourite external mic preamps, compressors and EQs. Duet includes 4 analogue outputs. 2 1/4 inch balanced outputs for connection to speakers or outboard equipment and a separate, independently controlled 1/4 inch stereo headphone output. With these 4 outputs it&apos;s possible for a DJ to monitor a separate mix in headphones while sending a house mix to the club, a live performer to send a click track to in-ear monitors while sending a backing track to front-of-house, and a recording engineer to send a headphone mix to the performer while dedicating the main outputs to studio monitors. Duet provides a single USB MIDI connection for your CoreMIDI compatible keyboard, synth, or DJ controller. This eliminates the need for an external MIDI interface and promotes an all-in-one music creation solution where Duet and Maestro manage all audio and MIDI. On iPad, Duet&apos;s MIDI connection allows both Duet and a keyboard or DJ controller to be connected at the same time to the iPad&apos;s single dock port. The high resolution OLED screen built into Duet&apos;s top is the main control centre for Duet, delivering visual feedback for multiple functions including metering, numeric value for input and output levels, input grouping, and phase, muting, phantom power and Soft Limit indication. With this display you know the status of any input and output at any given moment without having to refer to Maestro or your recording software. Along with its sleek aluminium chassis, the multi-function controller knob is one of the most recognisable features of Duet&apos;s design. This central control feature allows you to quickly and easily toggle through Duet 2&apos;s inputs and outputs and set levels while looking at Duet 2&apos;s dynamic OLED display. Duet also introduces configurable touchpads. The 2 touchpads, located on either side of the encoder knob, allow you to quickly access output functions such as &apos;Mute Outputs&apos;, &apos;Dim Outputs&apos;, &apos;Sum to Mono&apos; or &apos;Toggle Headphone Source&apos;. Each are assignable using a drop-down menu within Apogee&apos;s new Maestro 2. This unique feature allows you to select the function you want and access it directly from Duet without having to look at software. Rep. of Ireland and Mainland Europe: from £ 15 (calculated at checkout). 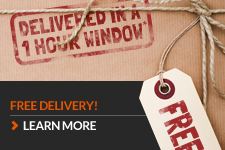 Please see our international delivery page or contact us for details.